RDSport FINALLY released the front and rear sway bars for NON M E60/E61/xi models! The price is $649 shipped! RDSport's lightweight hollow sway bars weigh a scant 7 lbs for the front bar and only 4 lbs for the rear, and are adjustable to be between 16 and 33% stiffer than the factory sway bars. 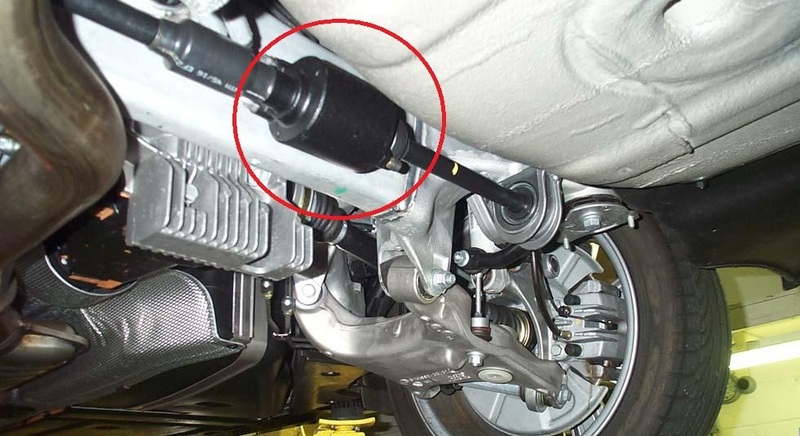 These sway bars not only increase the overall spring rate to reduce body roll at any setting, but are also adjustable for the rate of spring rate increase, and will yield much more aggressive handling response. 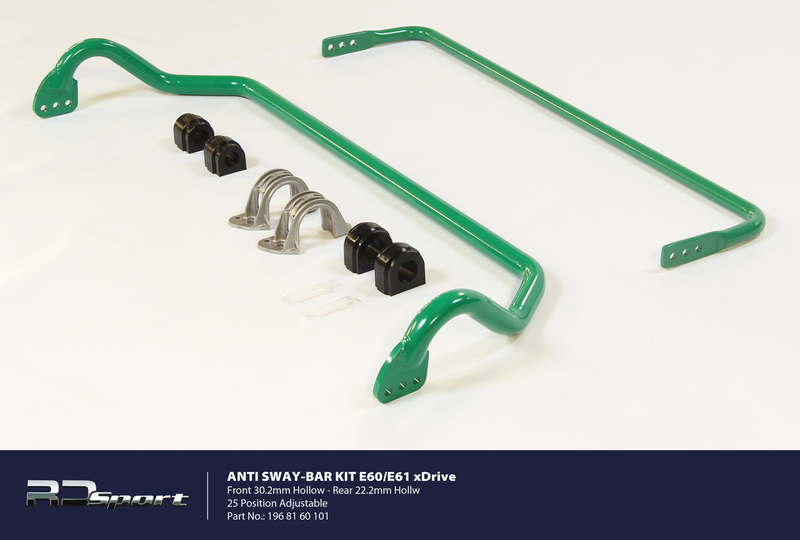 By enabling the driver to change the rate of increase of the swaybar stiffness, RDSport swaybars will help tune out understeer on initial turn in. RDSport's signature green color for durability and include new, stiffer, urethane bushings with lubricant-retaining grooves, new die-cast front bushing brackets, and a proprietary waterproof Teflon-based lube. Last edited by Trinity Autosport; 10-21-2015 at 01:59 PM. Can individuals remove the DD/ARS system and install these RD Sport static bars? My guess is that it will just throw codes but I'm not 100% sure.